Taking Time to Process: Why it’s important, why we don’t have it, and how to do it anyway. Maybe part of it is being busy or the pace of life, but I feel like I can’t often fully enjoy or otherwise appreciate the aftermath of an experience. But, I wouldn’t say that the explanation is “on to the next!” It can take a week, a month, a year, or more sometimes to really enjoy an experience on all of the possible levels, and to discover learnings and share insights at all. For instance, GO Brooklyn was this weekend, and they already want me to nominate artists! I saw 23 (fabulous!) artists just in my small 8 block radius in Prospect Heights; to vote for 3 of them ‘correctly’ would really require more thought than I can give right now. I need to sit with the images, sculptures, and evolutions that I saw and let their intent and evoked emotions percolate. There’s not enough time to process the experience. We need processing time. Whether it’s for responding to an email from a college buddy or seeing a museum exhibit or a death of a loved one or entering into a relationship, thinking through each of these before, during, and after is essential. Without processing, our initial, involuntary gut feeling or reaction is all we have. Sure, snap judgement is fun sometimes, but being wrong or missing out or ignoring something very cool is sure to happen more often than when we get past that initial thought. We don’t have processing time because it’s indeterminate. There are no specific time parameters (that is, we can’t budget exactly 1 hour each), but time is of course required for any amount of thought. And everything eats away at our time; we live in a society of sensory overload, where even something like skimming the morning NY Times headlines or going to Starbucks for a coffee are distracting. Rare is the day that all thoughts and attention can be focused on one thing, and that can become stressful. (That’s part of what certain forms of meditation seek to conquer.) Processing happens intermittently and best when unplanned, so that’s why we don’t necessarily have that time budgeted. We have to process, even if it’s a little bit forced. 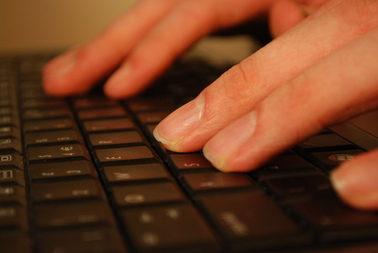 Have a place to write reactions or notions about experiences, and go back to it periodically. Add to them, change them, connect them to other notes about other experiences. (For me, this blog and notes in my phone are my processing hubs.) Find a buddy who either shares a given experience with you or who has participated in a similar experience, and have a conversation about it. (Bonus if you don’t always agree on everything!) Keep a calendar with experiences both planned and unplanned and look over it at the end of each month. See what’s still resonant. Let your mind wander sometimes and see where it goes; does it link back to a recent experience? This post is me processing a thought process about the cool stuff I think I’ve been up to without knowing how cool they actually are. I posted about this last year, and I’m posting this as a reminder again. In a conversation with my mom yesterday, she said 15 people from Lake of Isles golf course were sent to the hospital after being struck by lightning this week. It happens. Be safe. Read more about how. Really fun(ny) and surprisingly informative educational tool on how to be fashionable with a scarf. It’s my newest class at the Brooklyn Brainery, so sign up before it sells out and share liberally! Stay tuned for more useful classes to come soon, too. And, feel free to request a class that you’d like me to teach; I’m all ears. This interesting post from a class I wish I took at the Brooklyn Brainery is worth a read. Gotta love random skills! 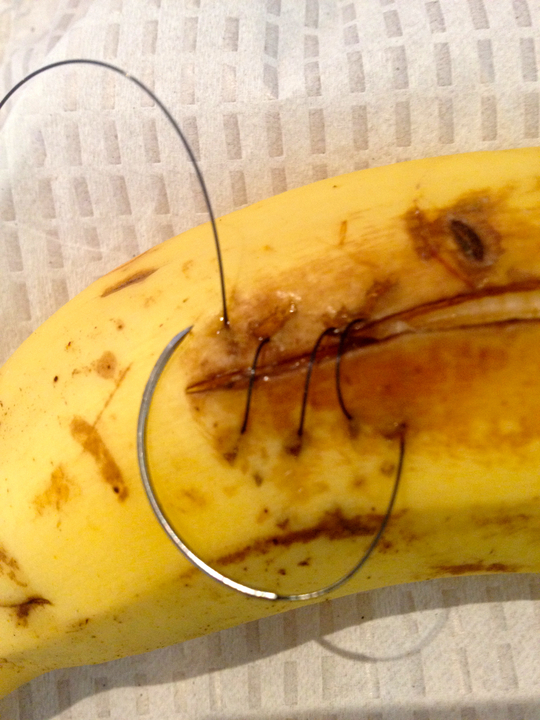 The banana at left is how I assume they teach medical students suturing.